The first and only jeweler to offer a collection that ranges up to men's size 20 while remaining true to our core values of affordability, authenticity and matching rings. Rings are never stretched. They're designed and crafted to your size. 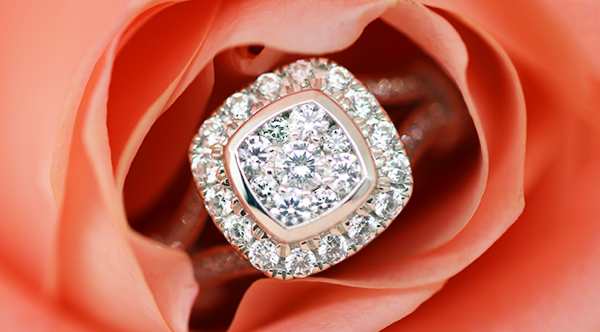 Styles made to look gorgeous in all ring sizes. No crazy markups, only affordably priced rings at any size for every couple. My Trio Rings has worked directly with jewelry crafting floors to curate a collection of wedding rings which look stunning in larger sizes. We are the first jeweler to offer a collection that ranges up to mens size 18 while remaining true to our core values of affordability, authenticity and matching rings. When wedding and engagement rings are sized up, they often lose the original “wow factor” because they don’t have the right ratio of diamonds to gold. 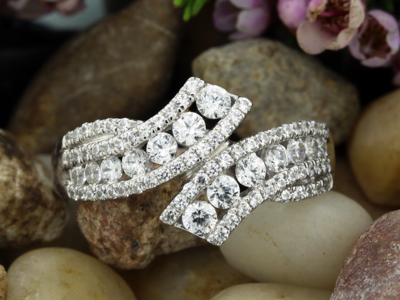 If a ring design calls for diamonds all the way across the top of the band, we add more stones to make sure the look stays the same, no matter what the size. 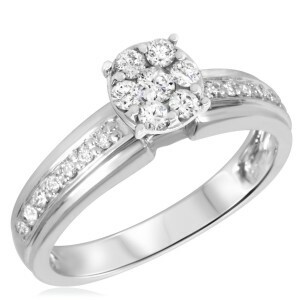 All Full Brilliance rings are substantial in weight, and offer a minimum width of 3 mm all around the band. A ring that is too thin causes weakness in the gold, and can lead to structural damage. For plus size engagement rings and wedding rings with a scoop fit – a hollow gap on the interior surface – we reinforce with a gallery of additional gold. This technique strengthens rings in wider sizes, and creates a smooth and comfortable fit. 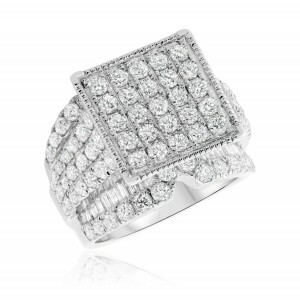 Jewelers stock rings in limited sizes which excludes a vast majority of couples. 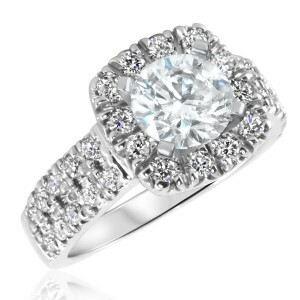 But if a jeweler is willing to help a couple, they often re-size existing rings which result in egg shaped ring pieces, or custom rings which have amassed major markups through the middlemen they rely on for their selection. In many cases, such customizations also carry a final-sale clause even before a couple has seen the ring! It's a very important question we asked ourselves as a modern jeweler for modern couples. Who defines what size is standard and how couples should be served based on this? Other jewelers don't offer “non-standard” sizes or will stretch existing rings to offer them in larger sizes. 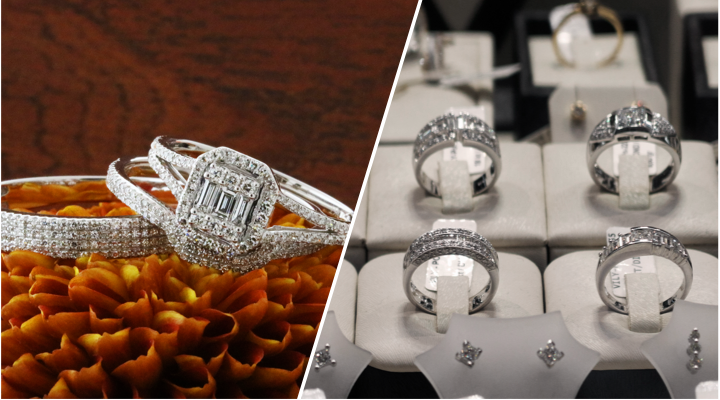 Couples visiting other jewelers today are met with negative attitudes, “custom quotes” with crafting & customization markups, often ending up with rings that are stretched to size due to limited crafting expertise. This is not an experience worthy of the modern couple. 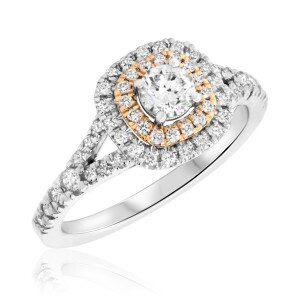 Are you unsure about your ring size and would like to get your finger measured? Request a free ring sizer mailed to your door on our Ring Size Guide! Request Ring Size Guide Which Style is Right for Larger Size Rings? 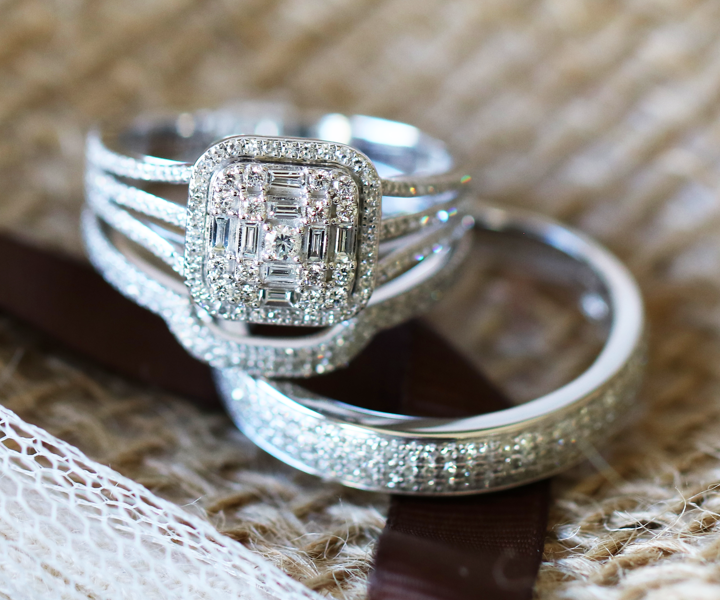 At My Trio Rings, we make finding the perfect, affordable wedding ring sets as easy as possible for everyone. No matter the style, the budget, the size, or location, we have you covered. 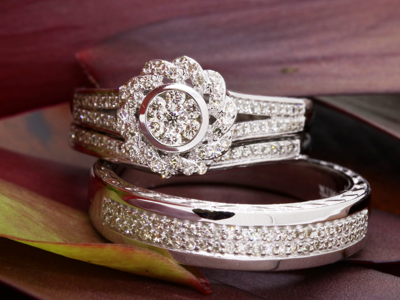 We guarantee that all of the plus size wedding rings are comfortable, high quality, and most importantly, affordable!